The London Theatre is situated in a 4 storey building that dates back to 1870. The building was subdivided in the 1960’s, with the theatre’s part of the building (the basement area) becoming a doctors surgery and waiting room. In the 1970’s the space became a nightclub until the New Cross Fire of 1981. The building reopened a few years later as a music venue called Marlowe’s, which was closed in the 1990’s. After being put up for auction and going through several owners (the fashion brand ATOM and ARC Sounds), the building was turned into a theatre and opened in April 2011. The theatre presents little known works from classic authors, new writing, and at least 3 foreign plays a year. 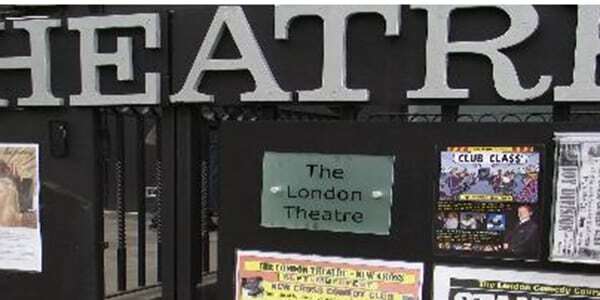 The theatre is also available to hire, runs acting classes, and the famous London Comedy Course, training up to 300 stand-ups a year.